Editors note: A few months ago Randy Harwood wrote an excellent article on choosing a liveaboard or resort. Ridlon Kiphart brings a fresh perspective to this important topic, with some honest real-world examples that will be of benefit to all dive travelers. Is it better as an underwater photographer to opt for liveaboard diving or resort diving? Liveaboard diving versus resort diving. This is an age old diving question isn’t it? One of the central ideas of a liveaboard diving has been to get you to places that you couldn’t dive from land. Fourteen years ago, on my first liveaboard experience, I went on the Mike Ball Spoilsport out to Flinders and Dart Reefs in the remote Coral Sea, about 200 miles offshore. We left the dock late the afternoon we boarded the boat and returned at 6AM the day we disembarked and didn’t see another boat or other people the entire week we were out diving the Coral Sea. This is in complete contrast to say, the Palau Dancer where we were back to the dock at noon the day before we disembarked and dived all the same sites the land based dive operators did. That’s not to say that in the second scenario there still are not advantages to diving from a liveaboard - but less so. 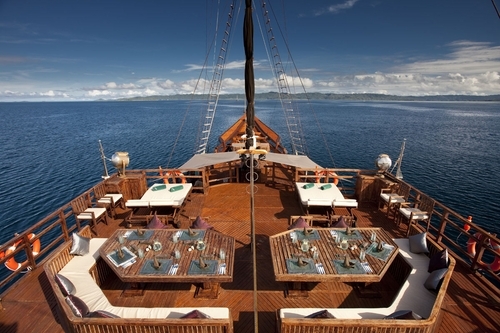 Liveaboards like the Arenui, shown above, or the Dive Damai offer lots of space, luxury, and access to areas land-based resorts don't visit such as remote parts of Raja Ampat. As the answer ultimately depends on you and your preferences, start by answering the following questions. · Do you have a non diving partner/spouse? If so and they want to do ANYTHING besides read a book and listen to you talk about diving, stick to land based adventure. A liveaboard is a sure way to kill that relationship. · Do you get Seasick? Don’t even think about liveaboard diving if you get seasick. There are a few exceptions to this rule such as the Odyssey or Palau Dancer that stay anchored within a protected lagoon almost the entire trip. There is no night time engine noise or any “boat noises” if you stay on land. · Do you want to put your toes in the sand at the end of the day? In some places, like Palau, I like the one hour morning boat ride zooming through the rock islands. You can get in 2-3 dives and be back to enjoy a sunset margarita with your toes in the sand. It’s a personal choice. 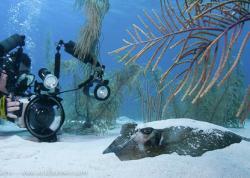 · Do you want more varied diving and the opportunity to get to more remote locations? This is what liveaboard diving was originally designed to do. As mentioned above, these days, some liveaboard dive boats don’t venture far from home in order to reduce fuel costs so check the itineraries. When you can get to these remote destinations like diving Krakafat in Papua New Guinea from the Febrina, you’re in for one kickass dive. · Do you want to hang by yourself or with the gang? It depends who shows up on your boat but liveaboard diving is a great way to hang out and really get to know some great people. 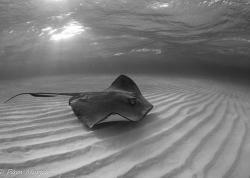 You can learn a lot about underwater photography if there are other good photographers on the boat. · What about diving destinations with/without both options? Can I do both? Yes! Check out answers to more SCUBA diving travel questions. There's no land based option in the Socorro islands, so you'll have to stay on a liveaboard such as the Solmar V, whose stateroom is shown above. Is liveaboard diving or resort diving easier for an underwater photographer? It totally depends on the liveaboard dive boat and/or dive resort. I’ve been on 100+ liveaboard trips and a lot of dive resorts and seen it both ways. Many liveaboard dive boats cater to underwater photographers. Every Aggressor or Dancer Fleet liveaboard dive boat I’ve been on and many independent liveaboard dive boats like the Naia and Odyssey have excellent camera areas. Look for large camera tables adjacent to the dive area with designated dry areas, compressed air, plenty of electrical outlets, a photographer’s toolkit and a designated rinse tank. On the Sea Hunter, each person has a personalized area with their own electrical outlets. It’s really nice having a designated, personalized area so people aren’t stacking gear on top of yours. In general, resorts have not dedicated as much space or amenities to photographers – other than a dedicated rinse tank. Most resorts assume you are going to walk your camera back to your room and use a table there. And, there is generally more space in your room at a resort to do this, albeit usually not a great rinse tank option. Sipadan Water Village has dedicated individual camera rooms adjacent to the dive area – just watch out for sea snakes! Even with liveaboard diving, you will likely load you and your camera into a smaller zodiac/skiff/panga for the ride to the dive site rather than just diving off the mothership. The ultimate in convenience is when you can dive directly off the mothership as you simply pick up your camera and step into the water – the Odyssey and AquaCat do it this way. Get a small, soft sided insulated cooler like a Coleman. 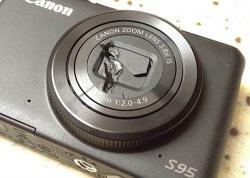 They work great as a padded transport case for your camera on any dive boat. It also doubles as a fresh water rinse bucket either on the dive boat or on the floor of your shower back in your room. It folds up small for packing. Nice. Is liveaboard diving or resort diving a better value? It used to be that the high end of liveaboard diving was around $325 per person, per night. That’s $650 per room per night including all meals for two and all diving for two if we want to make a comparison to resort diving. Keep in mind that most liveaboard dive boats that bill themselves as luxury would actually rate 3 stars when compared to equivalent land based accommodations and cuisine. Galapagos Sky (formerly Galapagos Sky Dancer) charges a hefty $4795 per person per week. 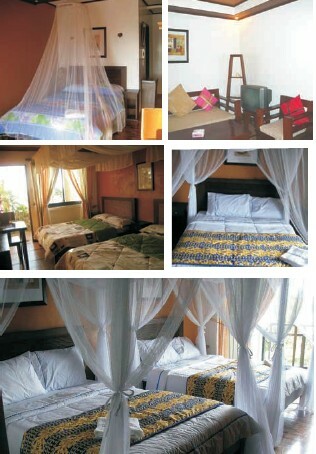 That’s $1370 per room per night including all meals for two and all diving for two. I love this boat and have been on her four times. She has one of the finest crews anywhere and an excellent captain. But when I compare that pricing to most land based resorts, it doesn’t seem like a great value. Resorts in Anilao such as Crystal Blue Resort (shown above), Club Ocellaris and Dive solana offer easy access to dive sites from land, great food / accommodations and a great value. Will liveaboard diving or resort diving help me get better underwater images? For some underwater photographers, this is what it comes down to and all other considerations come a distant second. I certainly understand because sometimes I fit right here. This is another loaded question in that it certainly depends on the situation and the where – and the photographer! Considerations include amount of bottom time per day (remember, F8 and be there), ability to stay on site if something is happening and you don’t want to miss it, ability to get to a broad range of sites during the week and ability to get to the “best” dive sites. On the whole, a liveaboard dive boat gives you an advantage here. When it comes to total daily bottom time, it’s as easy for me to get in 4 dives per day and 6 hours of bottom time staying at Sipadan Water Village as it is on most liveaboard dive boats. And while many liveaboard dive boats offer 5 dives per day, 4 dives often optimizes bottom time more efficiently anyway … but that’s a subject for another article. Until then, whether you choose a liveaboard, resort or both, happy diving! Go get some great images! As members of the prestigious Explorers Club, they are the founders of Global Diving Adventures, a premium provider of SCUBA diving vacations and advice on dive travel & the adventure lifestyle. They are also founders of Ocean of Hope Foundation, a non profit dedicated to restoring the health of the ocean through education. Connect with Sharkman & Mantagirl on Facebook and Twitter! Submitted by Sean on Mon, 2010-11-22 09:16. While it might be a bit more expensive, it sounds as if the experience would truly outdo a resort every single time. This boat looks fabulous and I hope that you have the opportunity to go again. Quando giochi in un casino online gratis, sappi quando dire basta e ricordati che il tuo computer è un computer e non una slot machine reale.